"We ask support from you (ASEAN) to support North Korea to build their economy, so that we can build the economy together and be ready for unification." Jakarta (ANTARA News) - Prevailing peace and stability in the world is never an easy task as myriad of interests of countries are involved, and most of the times, it makes some conflicts last for decades, such as those in the Korean Peninsula. However, last year, the world had witnessed a major improvement in the inter-Koreans relations that was highlighted by three summits of South Korean President Moon Jae-in and North Korean Leader Kim Jong-un, twice at the border truce village of Panmunjom and once when Moon visited Pyeongyang. The improvement in the Korean Peninsula stability was also highlighted by the historic summit of President Trump and Leader Kim in Singapore that aimed to start normalizing US-North Korea relations as well as to pursue a negotiation process on denuclearization. The progress was welcomed by ASEAN, which not only has a strategic partnership with South Korea as an integrated community but also each of the ASEAN member country has a good bilateral relations with the Republic of Korea (ROK) as well as with the Democratic People`s Republic of Korea (DPRK). This strategic relationship has placed ASEAN in an important position to support South Korea`s effort to build trust with North Korea and, at the same time, to encourage Kim Jong-un to have more confidence to welcome the peace process. As the country with the largest population in ASEAN, Indonesia has been demonstrating its keen support to both parties by maintaining good relations with ROK and, at the same time, engaging DPRK through economic and socio-culture cooperation. When the tension between two Koreas escalated, Indonesia had never showed a strong condemnation towards North Korea, including during the escalating tension in 2017 when Kim launched 23 missiles in 16 nuke tests. Instead, Indonesia has been encouraging both parties to remain calm and refrain themselves from any provocative actions. Indonesia`s Ministry of Foreign Affairs denounced North Korea`s actions and warned Kim`s administration that such provocation contradicts North Korea`s obligations towards the United Nations Security Council`s resolutions, specifically resolutions 2270 (2016), 2321 (2016), 2356 (2017), and 2371 (2017). Some critics might say that such policy was dovish, but in fact, Indonesia has tirelessly called on North Korea to stay true to the UNSC resolutions and the international law. As for Indonesia, the stability in the Korean Peninsula is not only important for regional and global community but also more important for North Korean people itself. Following the progress of inter-Koreans and North Korea-US relations in 2018, Indonesia again called ASEAN members and the international community to support the process. In Singapore, where Trump and Kim met for the first time in June 2018, Indonesia`s Minister of Foreign Affairs Retno Marsudi stated that such progress would lead to denuclearization and, at the end of the day, a perpetual peace in the Korean Peninsula. Again, during the ASEAN Summit in Singapore in November 2018, Indonesia`s President Joko Widodo took the chance to invite Kim Jong-un to the 20th ASEAN-South Korea Summit in Seoul to commemorate 30 years of ASEAN-South Korea cooperation. The suggestion was welcomed by other ASEAN members and President Moon himself. According to The Korea Society`s Senior Director Dr. Stephen Noerper, Widodo`s invitation to Kim to join the celebration of ASEAN`s partnership with South Korea was a gesture that ASEAN is ready to welcome North Korea as part of their community, when they finally achieve denuclearization. During an interview in New York with a group of journalists from Asia-Pacific, including ANTARA, on Dec 6, and facilitated by Meridian International Center through reporting tour fellowship program, Dr. Noerper noted that ASEAN might be a close neighbor who will help North Korea to build their economy, which is one of focus that Leader Kim stated during his New Year`s speech in 2018. Kim`s hope to include North Korea into modern economy was also indicated as one of reasons he wanted to start the talks with South Korea and the US. Earlier, Executive Director of Committee for Human Rights in North Korea Greg Scarlatoiu, during an interview at the Meridian International Center`s building in Washington DC on Dec 4, noted that countries or regional communities that have good relations with North Korea bear a more significant role in bridging trust towards peace and stability in the Korean Peninsula. 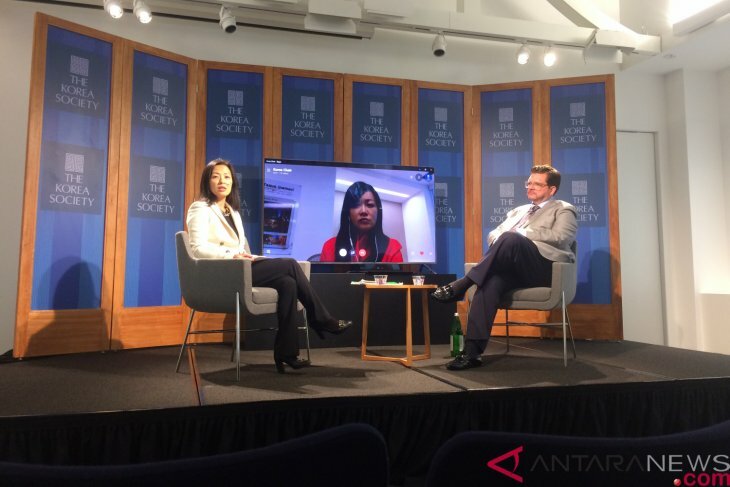 Scarlatoiu said that while encouraging Kim to attend the fourth summit with Moon, or the second summit with Trump, ASEAN could also use the opportunity to tell him that bringing his country to the negotiation table would also benefit his 25 million people and would also elevate their human rights` standards eventually. "We cannot let the human rights issue slip out of the negotiation process, and I think countries that have close relations with North Korea, such as ASEAN countries, will find it easier to raise the issue with Kim Jong-un and to tell him of what will benefit the people if they go through the denuclearization process," he noted. 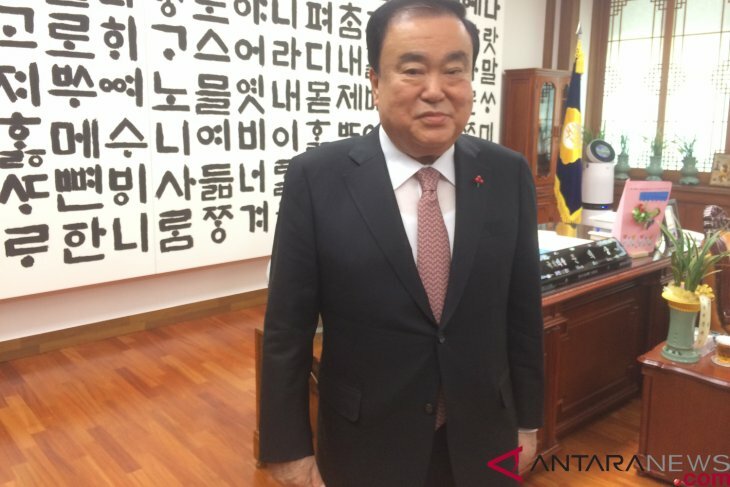 The role of ASEAN was also expected by the South Korean National Assembly House Speaker Moon Hee-sang, who conveyed his hope that ASEAN would support North Korea`s economic growth. Not without a reason, the house speaker claimed that his hope is in line with the nation-wide goal of reunification with their brothers and sisters in North Korea, in which economic gap becomes the main rejection from the oppositions. "We ask support from you (ASEAN) to support North Korea to build their economy, so that we can build the economy together and be ready for unification," he stated during a meeting with the Asian-Pacific journalists of the reporting tour program at the Korean Parliamentary Building in Seoul on Nov 28. Moon lauded Widodo`s suggestion to invite Kim to attend the 20th ASEAN-South Korea Summit, stating that it would be a great invitation and to welcome to the North Korean people to join the international community. But, working on denuclearization is one thing, and a reunification can be a whole different thing as it should be decided by the people in each side and not merely done by the leaders` wish. However, the hope of reunification could be natural since the two Koreas were originally two long lost brothers and sisters separated by a horrible war. For over six decades, the Korean Peninsula is the only place on earth where there is still a war status after the World War II by a signing of armistice by the US, China, and North Korea in 1953. While South Korea itself -- as matter of fact was the opponent of North Korea during the war -- aims to fight for a reunification in a peaceful way. Now, despite all optimisms from the officials, analysts, and the people in general, the fourth summit of President Moon and Leader Kim will not happen last year, not to mention the second summit between Trump and Kim. Some analysis of why Kim did not go to the next summit last year varied from whether Kim was waiting for the US to lift the sanction first to Kim`s wavering confidence to Moon and Trump. Or, it might be just Kim`s tactic to buy some more time. Regardless, during his New Year`s speech for 2019, Kim once again vowed that he is ready to meet Trump at any time to produce an outcome "welcomed by the international community," under some conditions. Here is the chance to be taken by the international community, specifically countries and regional communities that have good relations with North Korea, including ASEAN members, to ensure Kim that they are also ready to welcome North Korea which is committed to denuclearization and human rights` improvement towards peace and stability of the Korean Peninsula.